Bad weather is always bad news for homeowners. Be it rain, ice, snow or even hot, humid days bad weather can seriously damage your home in a variety of ways. These days you can’t even plan according to the season. It some parts of the world this month, snow began to fall. Snow in spring! There’s just no predicting the weather, but you’ll still have to prepare if you want to save your home from the worst of it. That’s where this post is going to help you out a lot. We’re going to look at some of the worst effects of bad weather and how to deal with them in your home. If you take this advice, you should be able to avoid the majority of the issues and keep your home standing firm. There are two problems with clogged drains and gutters. First, they might start to smell, and the other issue is that they can begin to overflow. 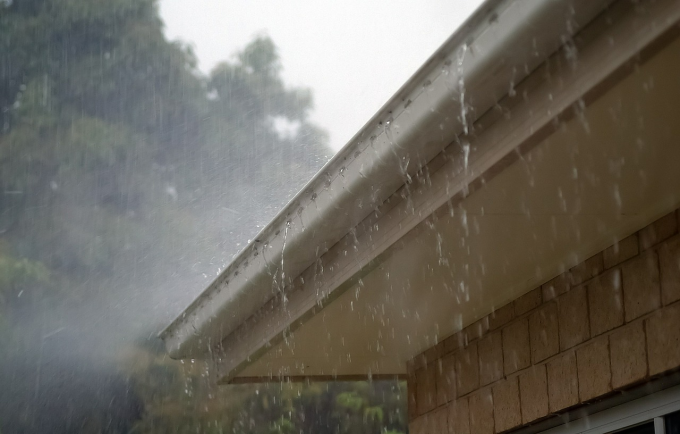 If your gutter overflows, it could drip over the side and soak you on your way to work one morning. As for the smell, that can be foul, and if you think it will stay outside, you’re mistaken. Eventually, you’ll wake up and think there’s a skunk living in your kitchen sink. Drains and gutters get clogged due to heavy rain and high winds. High winds blow, mud, dirt, and leaves around, dropping them in the gutters and drains. Then the water rises, filling them and causing them to overflow. The good news is that there’s a simple solution and that’s gutter shutters. Gutter Shutters fit over your drains, letting water flow through but not the leaves and anything else that is being blown around by the wind. As such, you can completely avoid them getting clogged up. As for drainage, you can get a specialist to come and fix your drains if they do get clogged up. They should be able to eliminate the problem in no time and get rid of that nasty smell which will certainly be beneficial. Of course, there are worse problems caused by excess rainfall such as flooding on your property. You might find that your house is actually on a floodplain and if this the case during heavy rainfall water will build up around your property. Or, you could have soil around the home that has high density. If this is the case the water will not drain away as it should. Instead, it will build on the surface and underneath the ground. When this happens, water can press against the foundations of your home and can even cause dampness to develop inside the property on the walls and floors. Eventually, this can lead to mold to develop and even insect infestations that thrive in dark, dank areas. There are various ways to deal with flooding on your property. One of the most effective ways is to alter the permeability of your land. You can do this with a professional landscaper who will ensure that water drains away from your property as it should. You can even restructure the land so that water flows away from your home as it falls. You can also think about installing a water pump into your basement. This is where most of the damage from flooding will occur. As such, it makes sense to investigate a method like this but do remember, this won’t stop water pushing against your foundations. It’s worth pointing out that even with these systems and changes in place, you might still see damage to your home due to flooding. That’s why you might want to look at your insurance policy. Typically, you will need additional insurance to compensate for the damage that can occur due to flooding. Flood insurance will ensure that even if your home is damaged due to water, you can get the money you need. What kind of damage can ice do to your home? Well as a starting point, it can definitely freeze up your pipes and cause serious damage to your water systems. So, you need to make sure that you are keeping your heating on through the icy months. 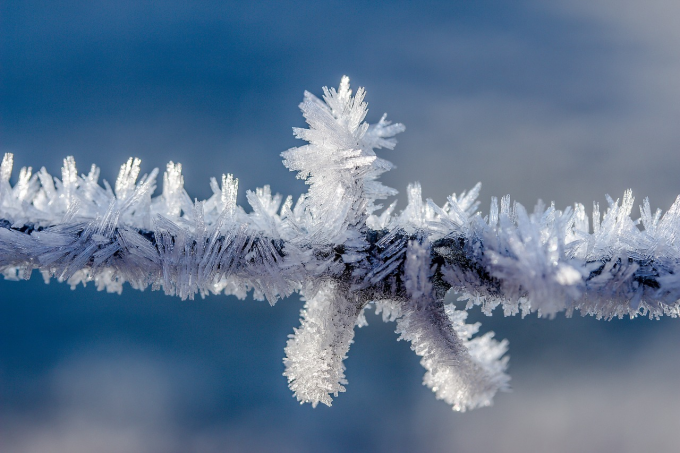 You need to make sure that the temperature is kept at the point where ice is not going to damage your home. Although, if you want the most expensive damage that ice could cause it’s definitely to your car. If you leave your car out through the winter months, you might find that ice damages the paint as well as the bodywork. This is why you should keep it in a garage during the coldest time of the year. Certain properties are more at risk to cold damage than others. For instance, if you have an alternate construction home such as steel, you might find that ice and snow are far more damaging. 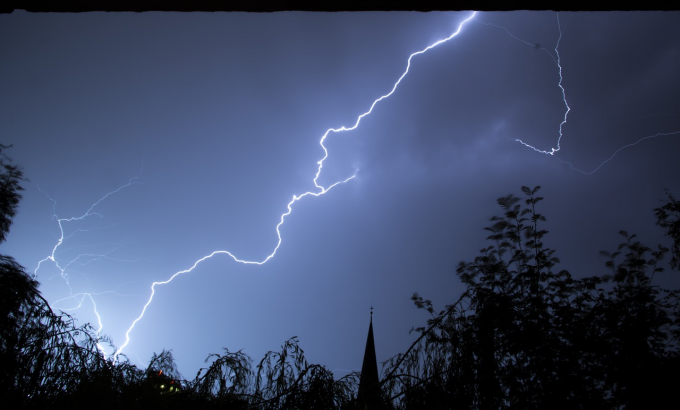 Of course, the worst weather than can inflict the most damage on your home is almost certainly a storm. The problem with a storm is that there’s no real way to protect the house or prevent damage. Sure you can, batten down the hatches, secure the doors, maybe even put shutters across the windows. But if the storm is severe enough it is going to leave a mark. This is where the insurance company should come back into your plan. You need to make sure that your home is covered for potential storm damage because otherwise, you could be left with an expensive bill and absolutely no way to pay it. You don’t want to be in that position and getting the right coverage can help you avoid it. You might also want to arrange regular inspections on your property. That way, if a storm does leave lasting damage, you will at least be aware of it. Usually, the issue with a storm is that it leaves a hole in the roof and the owner of the house isn’t even aware. This can create all sorts of problems. Again, if water trickles through it can leave nasty damp patches that can eventually weaken the ceiling in the home. It can also allow birds to get in and set up a nest inside your attic. Aside from the mess, this can be potentially dangerous because of disease and vermin. 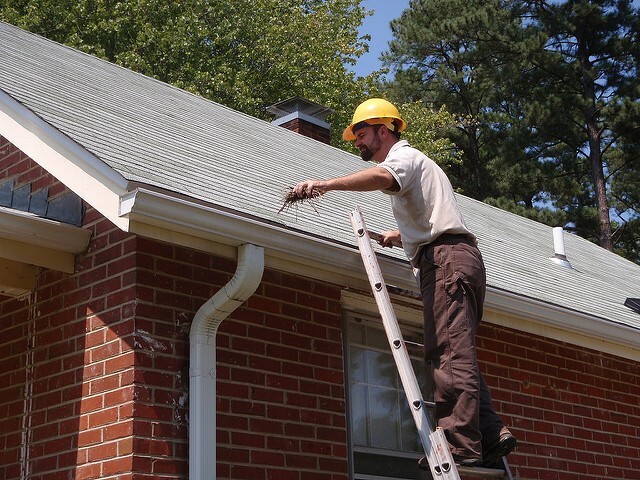 This is why a problem with your roof needs to be fixed as soon as possible. You should arrange for the repair immediately after a storm has hit and get your home back in the best possible condition. You might think that the worst thing the sun can do to your home is to turn your grass brown. But unfortunately, that’s not the only problem. Weirdly enough, if it’s hot enough and the rays are powerful, the sun can actually set your grass alight. It wouldn’t take that much for this fire to spread to your home either. Particularly, if there’s grass near the edge of your property. The fact is that if the grass is too dry, it can be flammable. That’s why if you live in a hot and humid area you should be thinking about installing sprinklers around your garden. They will keep the grass moist and ensure that they never go up in flames. In the past, this has happened, and while rare, it is something that you may want to prepare for. 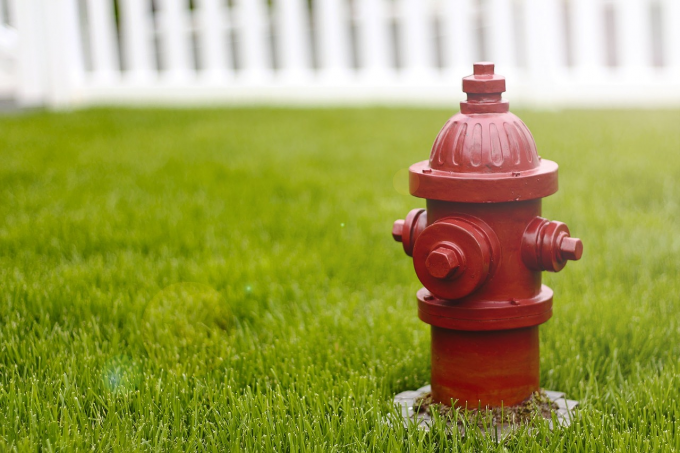 After all, sprinklers are also going to keep your grass and green and make sure your home looks terrific rather than a scorched mess. Take this advice and you can avoid your home being a messy disaster zone due to bad weather.